It's hard to believe Dwayne Johnson rose to fame as a wrestler with the tagline "Can you smell what The Rock is cookin'?" Today, he's one of the most sought-after stars in Hollywood, raking in the big bucks for blockbuster hits. And given his reputation for being impossibly nice, is it any wonder everyone's scrambling to have Johnson star in their next box-office hit? Johnson first made the transition from wrestling pro to legitimate actor back in 2001 as the Scorpion King in The Mummy Returns — a bit part, but one that led to his own spinoff movie, The Scorpion King. He still made time for the wrestling ring for a few years before really hitting the ground running as Hollywood's hottest new action hero. Fast-forward to the present, and Johnson has 10 whole films in various stages of production. Here's the rundown (which, coincidentally, is the title of a 2003 movie starring Johnson) on everything this super-busy star has in the works. Johnson will reprise his role as rescue pilot Raymond Gaines in this follow-up to the 2015 thriller San Andreas. The sequel details are pretty hush-hush so far, but THR suggests the action will expand globally to include the infamous Ring of Fire — an area in the Pacific Ocean riddled with fault lines and volcanoes. Move over, Pirates of the Caribbean! There's a new Disney-ride-turned-film-franchise in town. Based on the beloved theme park attraction, Jungle Cruise will see Johnson take travelers on a small riverboat through a dangerous jungle with a supernatural twist. Variety reports that Johnson will be joined in the film by Emily Blunt and British comedian Jack Whitehall. Sounds fun, right? Johnson is set to star as the title character in this film based on the classic pulp magazines about a man born with superhuman strength. Unfortunately, the project — which is being directed by Shane Black — ran into a few logistical snags (read: rights issues) that have held up production. However, Johnson told Collider in April that they are "still kind of working through" the holdups and hope to move forward. Shazam! fans are understandably hyped up about this spinoff centered on the 1974 film's anti-hero, Black Adam. "The script came in, it's great, we're working on it," Johnson told Yahoo in April. "If things come together in the way we anticipate them coming together, that feels like a 2019 movie." Something to look forward to, at least! While this film is more rumor than real life at this point, online forums have been buzzing for years about the idea of rebooting the 1986 cult classic. Johnson would tackle the role of Jack Burton, famously played by Kurt Russell in the original. Considering how well the star handled his modern adaptation of Jumanji, we're inclined to say he'd honor the original and turn out something great — especially since he told CinemaBlend he'd love to get OG director John Carpenter and even Russell involved in the remake. Talk about art imitating life! In Fighting With My Family, Johnson cameos as his former wrestling alter-ego in this film about a family of professional wrestlers. The movie is rooted in the true story of WWE Superstar Paige, who struggles to strike a balance between WWE fame and keeping her tight-knit family together. The official Black Adam spinoff may be mired in legalities at the moment, but rumor has it that the character (Johnson) will show up in the 2019 Suicide Squad sequel. Little else is known about the follow-up, other than the fact that The Accountant's Gavin O'Connor will direct (as opposed to the first film's David Ayer). If this film sounds familiar, it's because you already know the characters — Luke Hobbs (played by Johnson) and Deckard Shaw (played by Jason Statham) came from The Fate of the Furious/The Fast and the Furious franchise. 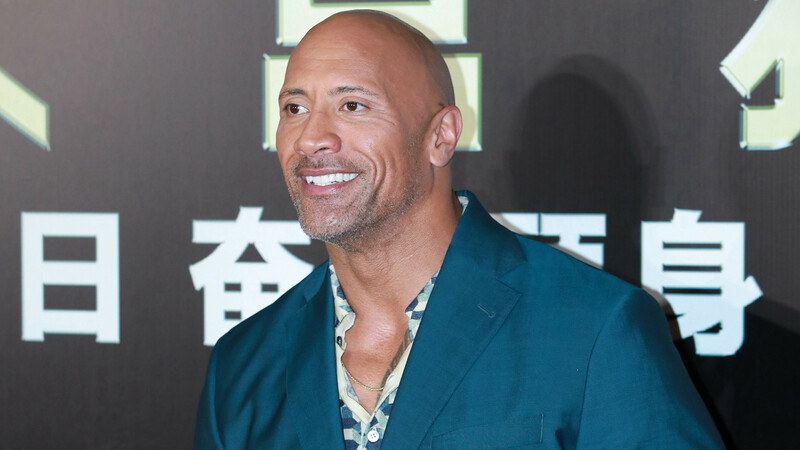 However, the film may be more memorable for all the behind-the-scenes drama it caused between Johnson and Fast and the Furious stars Tyrese Gibson and Vin Diesel. Hooray! If you're anything like us, you're an unabashed fan of the original Jumanji (of course) and Johnson's 2017 reboot, Jumanji: Welcome to the Jungle. So, it's exciting to know there's already a sequel in the works. Slated to release in December 2019, Jumanji 2 will see the return of at least some of the first film's cast: Karen Gillan, Jack Black, Kevin Hart and, naturally, Johnson. You'll have to wait a hot minute to watch this action thriller starring Johnson. According to Variety, its release date has been set for June 12, 2020. But with Johnson at the helm, we're sure it will be worth the wait. The premise? The actor will play an Interpol agent tasked with tracking down the world's most wanted art thief.